Relationships are a science, and sometimes they take science to keep things hot. Dr. Sue Mandel from YourTango shares five tips founded in psychology that you can use in your relationship. Keep reading to find out more! Here's how science can help you spice things up. [post_ads]Who among us doesn't feel incredibly special when we get flowers, jewelry, and other meaningful items from guys we date or are in relationships with? We feel loved, thought of, and cared about. Gifts and other gestures remind and reassure us that we're worthy and special, something we often have a hard time doing for ourselves. But when we overlook the less visible signs of love and affection, or don't recognize them, we actually miss out on opportunities to connect on a deeper, more relational level — which is more likely to make love last. 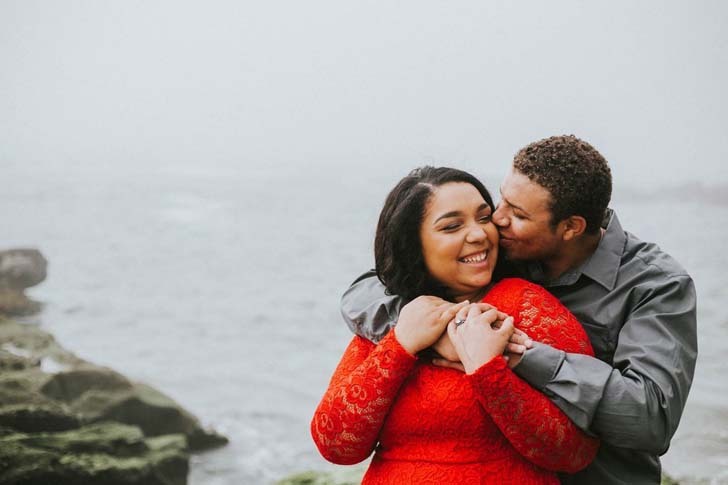 Knowing how the science of Interpersonal Neurobiology (IPNB) affects you and your intimate relationship lets you strengthen and and deepen the intimate connection with your partner. Interpersonal neurobiology is a multidisciplinary field that, along with attachment theory and other areas of neuroscience, studies how experience in relationships literally shapes the brain, starting with our primary caregivers. Babies need someone to "read their minds," so to speak, since they can't tell us what they need, want, or feel. All babies are different, just like all mothers are different, and as they experience each other their brains and minds are influenced by the interactions between them. It is in this context that we learn whether we can trust those that we depend on to be attuned to our needs, reliable, engaging, playful, and helpful when big feelings threaten to overwhelm us. We then go into the world with our internal model of how intimate relationships work, a set of beliefs about ourselves and others, and unconscious strategies we have adapted to keep us from getting hurt. But fortunately, because of neuroplasticity — the brain's ability to create new neural pathways — our brains can change and grow. With persistence and repetition, if we work at changing false and destructive belief systems, engaging differently in relationships, and having new and novel experiences regularly, we are building and strengthening new neural connections. In this way, our brains get rewired throughout life. So, we can actually choose to improve the relationship with ourselves, and our intimate partner. Who says you can't teach old dogs new tricks? 1. Notice your partner's efforts to please you. When your partner makes a caring gesture or an effort to please you, acknowledge it! It might be as simple as putting your dishes in the dishwasher, seeing a movie even though he has no interest, or offering to get take-out when you've had a rough day at work. When it occurs, let him know how much you appreciate him. Showing gratitude not only affects your partner's neurochemistry, but yours, as well. In fact, even thinking about how grateful you feel changes your brain and you perceive your partner more positively. This is because feelings of gratitude trigger the release dopamine and serotonin from the reward center of our brains which makes us feel good and have positive feelings for the person we love (who deserves it!). We're always motivated to repeat what feels pleasurable. Serotonin has an important role in enhancing your mood and boosting the bond between you and your partner, so dopamine and serotonin mutually reinforce the positive effects. Leave him a cute note where he'll be sure to find it. Jump in and help him with a task without being asked. Tell him you don't know how you would have done the project or task without his help. Support and praise him in public, and include a loving stroke of his arm or your hand on his back. Switch up your phrases: "I'm grateful every day for your love and support," or "I appreciate it when you . . ." or even, "Thank you for being there. I'm so lucky to have you in my life." Try and notice even subtle gestures. Not only will he want to reciprocate naturally (because that's what our brains do), but each of you will perceive the other in a more generous, loving, and positive light. 2. Defuse small conflicts with humor. You know the ones, where you ask him to get unsweetened almond milk at the store, and he comes back with sweetened; or he keeps throwing his towel on the floor after showering. Or perhaps you went to have a bowl of your favorite cereal, but all you found was the box with a few crumbs at the bottom. If deeper relationship issues or underlying hostilities aren't the case, using humor to defuse a potential argument is very effective. But it's important to have a good sense about your partner's possible reaction. If being playful with each other — which has so many physiological and psychological benefits — is part of your everyday interactions, being lighthearted will come more naturally. Humor attracts people to each other and keeps partners moving towards each other instead of away. Laughing at petty grievances and misunderstandings allow good will — not minor irritations — to remain central to the relationship, building resilience and trust. Use humor to show good will. Make sure you're both in on the joke, so you know he'll get it and feel included. Ensure that your choice of humor is respectful, not a "dig" or subtle put-down. Be sensitive that the timing is right. Make sure your facial expression matches your intention. And lastly, when the disagreement is over, let it go. 3. Do things that are novel and fun together. Remember in the beginning when you'd be watching a horror movie and suddenly the alien pops out from nowhere, and you jumped into your date's protective arms? Or when the two of you went on a Ferris wheel and couldn't stop laughing at how fun and scary it was being so high up? In states of fear, adrenaline contributes to the fight/flight response. But, in the context of feeling safe, we can experience that same physiological state as excitement, and sexual arousal. Doing things that are pleasurable and fun also activate the release of the chemical dopamine, located in the brain's reward center. Dopamine motivates us to pursue our dreams, our goals, the things we desire and need. When we experience the surge of pleasure that accompanies success, passion, fun, and excitement, we naturally want to repeat the experience that made us feel so good. But how do we build passion and excitement into the daily routine of a relationship? Novelty and excitement are key to activating the reward center of your brain to keep the romance and connection alive. So, consider taking salsa lessons, going on a roller coaster, learning to surf, doing indoor rock climbing, or learning to fly a trapeze! Or go to Disneyland, do a wine tasting, take a day trip — explore the options. But build this fun into your relationship, sometimes planned, sometimes spontaneous. The romantic effects will keep romance and good vibes alive and prevent the lethal boredom from setting in. 4. Be responsive and available to your partner's needs with generosity, kindness, and lots of touch. What makes us feel worthier than having the person we love drop everything because we need him? Being available (or saying when you will be) to listen, offer an opinion, or to share a headline affirms his importance to you, which triggers the release of serotonin, the chemical found in many antidepressants. It might even be as simple as looking up from what you're doing when he walks into the room. On an interpersonal biological level, these responses and behaviors do so much more. Touch and eye gaze promote trust and intimacy by opening the flow of the hormone oxytocin, often thought of as the cuddle hormone. It's what drives the attachment between mothers and babies, where we first experience the power of love. And let's not forget having orgasms, when oxytocin pours into the system, deepening the attachment to each other and reinforcing desire. John Gottman, Ph.D., pioneer researcher in marriage and relationships, has studied what makes relationships successful for the past several decades. He stresses the two most important qualities in partners who had lasting and positive relationships are generosity and kindness. As he notes, kindness makes each partner feel cared for, understood, and validated — that is, loved. So be sure to keep the ratio of positive comments and interactions to negative ones high, supported with lots of affection and a generous spirit. Don't be afraid to check in with each other occasionally to see how it's going. Listening to each other and making compromises are two more gifts to the relationship. 5. Remember, true love cannot survive if the relationship is not a safe haven for both partners. When we fall in love, we tend to idealize the person we're crazy about, creating many positive illusions about who he is. Research has shown that couples who were happy 25 years later still maintained the positive illusions about their partner. They continued to see the best in them, giving them the benefit of the doubt. Their relationships were more resilient (as were they), even chuckling at their partners' foibles and faults. Things weren't perfect by any means, but they didn't expect it. Happy couples were able to communicate effectively, separating their partner from what bothered them. To be authentically connected in love is to know we can be ourselves without worrying that the relationship or our partner's love is threatened. Conflicts between couples arise, get settled, and you move on. But how they get expressed, get settled, and let go of is a top priority. Only when we feel safe enough can we risk exposing our vulnerabilities. After a fight, painful insecurities rise to the surface, making it very difficult to approach each other. But repairing the relationship as soon as you can is a top priority. Maybe it isn't the right time to talk, and you need a few minutes to regroup. Don't let much time go by before moving towards each other again, offering assurance of your love, and trying to understand what happened. Forgiving and being forgiven reinforces that your relationship is more important than being right, and nothing is more important than each other. And, after all, that is what love really is, right? Dr. Sue Mandel is a psychologist and dating coach who specializes in relationships and the psychobiology of love. She brings 27 years of unique experience helping individuals and couples find and keep love in their lives. For a FREE 20-minute consultation to get immediate help for your dating dilemma, contact Dr. Sue to schedule your appointment. To learn more visit www.DrSuesConnections.com or email her at drsue@drsuesconnections.com.